It is our task to pass on the art of falconry to the youth, securing the transfer of our unique falconry tradition and practice on to the next generation. The recognition of falconry as an Intangible Cultural Heritage of Humanity (ICH) by UNESCO in 2010, championed by the United Arab Emirates, has been the single most effective support for the continued practice of falconry worldwide. The recognition gives falconry a status enjoyed by no other hunting discipline as yet. In order to be recognised as Intangible Cultural Heritage, elements of culture must be shown to be transmitted from generation to generation and recreated by communities and groups in response to their environment. As well as providing people with a sense of identity and continuity, their safeguarding promotes and develops cultural diversity and human creativity. Falconry as an art and practice cannot be learned entirely from books, but must be passed from parent to child, or from master falconer to apprentice, or between trusted hawking companions. 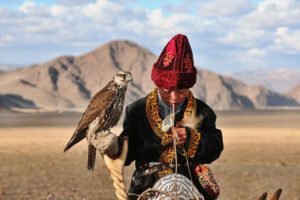 Historically and in modern falconry, this transmission of knowledge has transcended the boundaries of languages, politics, religion and ethnicity. Falconry as Intangible Cultural Heritage defines and reinforces our sense of community. This is why many falconers feel more at home thousands of kilometres from where they live, than they do in their nearby cities. It is hoped that this year’s celebration of Youth will inspire and encourage new leaders in falconry, and nurture talent among the young falconers carrying this ancient art into the future. 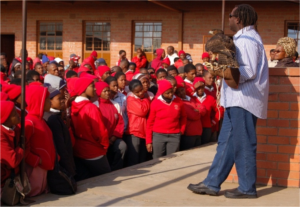 The more experienced falconers attending will have a role as educators, mentors, and inspirational figures, to help the next generation bring this wealth of knowledge forward. We hope that the atmosphere of the festival will move and inspire many, and that the spirit of common purpose and community will transcend nationality, language, religion, and gender.